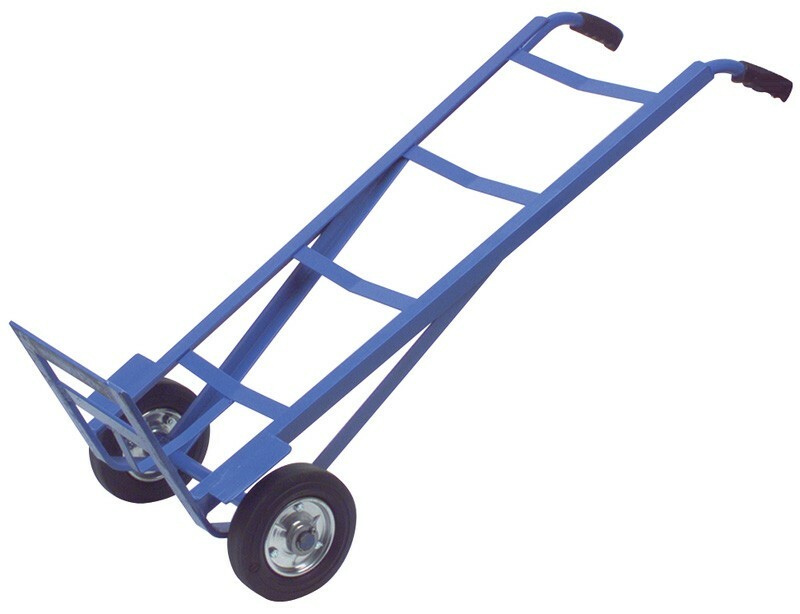 These robust sack trucks are used for carrying heavy items and the large rubberised wheels enable these items to be moved with ease. This is an ideal truck for flaggers and for horticultural use as well as general use within factories, warehouses and industrial units. Manufactured from toughened steel and painted in a rust-proof enamel paint, the truck also features ergonomic rubberised grips, to increase operator comfort whilst in use. 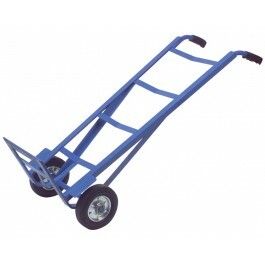 Carrying a maximum load of 350kgs, this truck far surpasses most other standard sack trucks on the market. Height - 1250mm. Overall Width - 600mm. Toe Plate - 200mm. Maximum carry weight - 350kgs. Suitable for use in almost all industrial environments.